I am not sure when this memory will fade. Right now, it is as vivid as it can be. My family had a wonderful day that day. I had already changed into my pajamas and washed my face as I was preparing for bed. It was then that it hit me. This sharp and stabbing pain in my stomach. It wouldn’t let go and I found myself becoming afraid as the pain became unrelenting. I was by myself in the bathroom and tried to take a few deep breaths to calm the fears that were now coming over me. I yelled for my husband as I fell to my knees on the bathroom floor. The pain in my stomach was now radiating down my right arm and within seconds I lost all function of my right side. My husband walked into the bathroom and found me with tears streaming down my face in a twisted and contorted ball. I could not move. He attempted to lift me into the hallway and I screamed in pain. I had little control over my body and this foreign state I found myself in was creating a panic for us both. As my husband was on the phone with the EMS dispatch I began praying out loud to my Father. My body was shaking uncontrollably and it felt like an hour before the ambulance pulled into our driveway. I was loaded onto a gurney, given an IV and we began the trek to the hospital. ​What followed was an entire night in the emergency room completing test after test in attempt to figure out what had happened to me. My pain subsided throughout the evening and I started to wonder if the whole night had just been a really bad dream. I was discharged in the morning and sent home with an “inconclusive” diagnosis. I was in shock. A panic attack? I really felt like I was navigating life okay and that my hands were wide open…but if I was being honest with myself, I was white knuckling life to death. My palms were not up in total surrender; they were facing the right direction but my fists were clinched shut. My heart began to break in a really cool way. I continually felt God speaking over me. I heard every single word. I will help you to trust me, even though you are afraid. 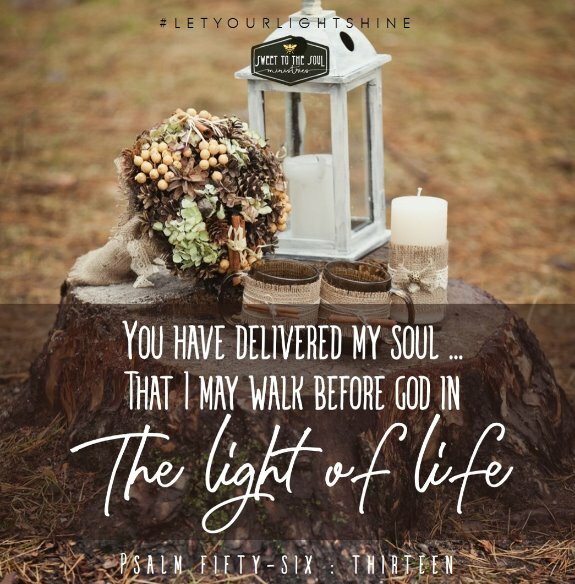 I would love to tell you that my hands were spread wide open overnight but the truth is that God lovingly uncurled each finger as He covered me in grace and new mercies each day. 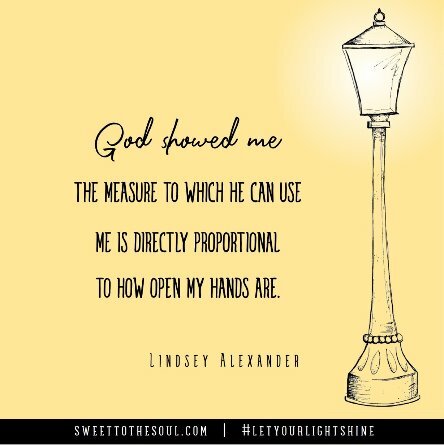 He showed me that the measure to which he can use me is directly proportional to how open my hands are. He guided me to safe and prosperous ground. He delivered me from that bathroom floor to a life of excited abandon as I reside and abide under His mighty and powerful wing minute by minute. Have you been there too? Caught in the thick of it and stuck on the bathroom floor? He hears you and he sees you. He is close to your hurt, your heartache, your struggle. He can be trusted with your fears and your clinched fists. Let your Heavenly Father lovingly loosen your grip one finger at a time. It is then that you can boldly walk forward in gratitude, faith and hope. Heavenly Father, thank you that when we cry out you hear us. That we can rest in assurance that you will deliver us from our troubles. Show us when our fists are clinching yet again so that we can walk in the light and be used for your glory and our own good. In your Perfect Name we pray, Amen. 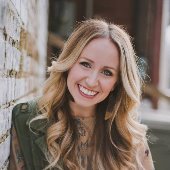 ​Lindsay Alexander’s greatest passion is to share the hope and power of Jesus where women not only fully grasp the Gospel but live it out. 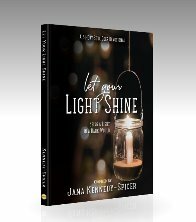 Through her writing, speaking and singing Lindsay finds ways to encourage women to see their greater purpose in the kingdom and take steps to be all that God created them to be. She has been married for ten years to her college sweetheart Monty and is the mother of three blonde-haired and blue eyed, wide-open and spirited children. She currently lives in South Carolina.